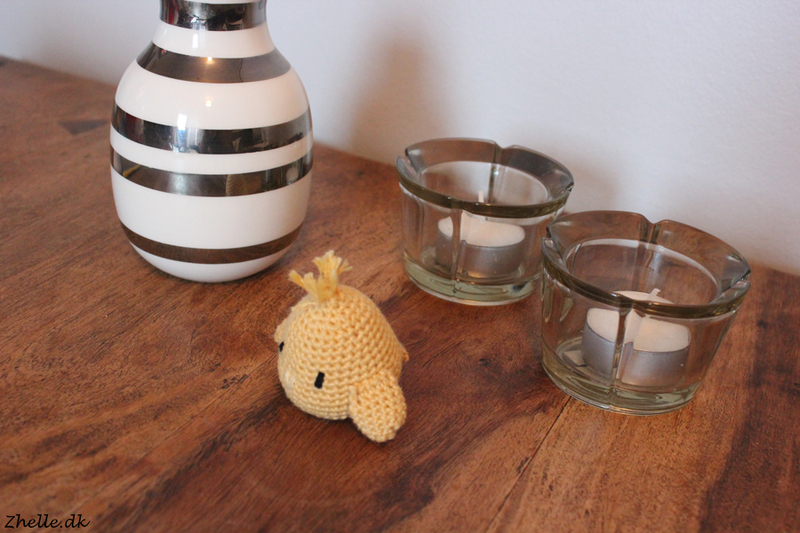 When I went to Håndarbejdsmesse, a Danish craft fair, in the spring, I circled quite a bit around Krea Deluxes stand. I already owned two of their books, A crocheted tea party and A crocheted ice cream shop, and they are gorgeous books! 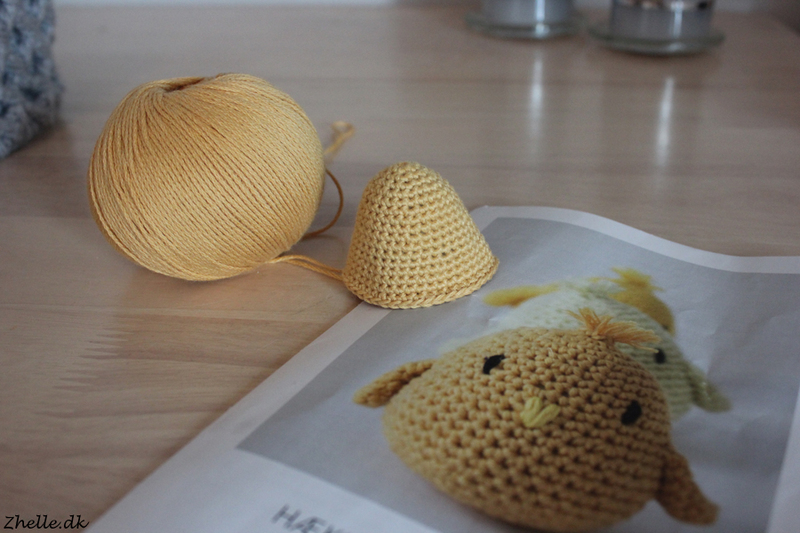 I ended up investing in kits for both amigurumi, a tote bag and a notebook cover. For the kits there was of course yarn and patterns. For the amigurumi kit there was also stuffing, and the notebook cover came with a pen and a notebook as well. Korea Deluxe has their own really lovely brand of yarn, and that's the yarn in the kits. 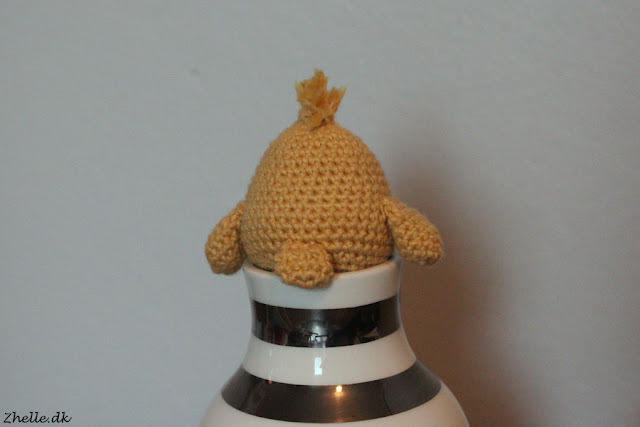 I started with making an amigurumi, a little crocheted easter chicken. It is so cute and I couldn't resist it, so I had to make it first. The pattern was easy to read and use, and there are a lot of good pictures as well. Placement of the hair, face, tail and wings was easy because of the illustrations. Shaun has previously named my crocheted dinosaur Alan, so of course he should name the chick as well. 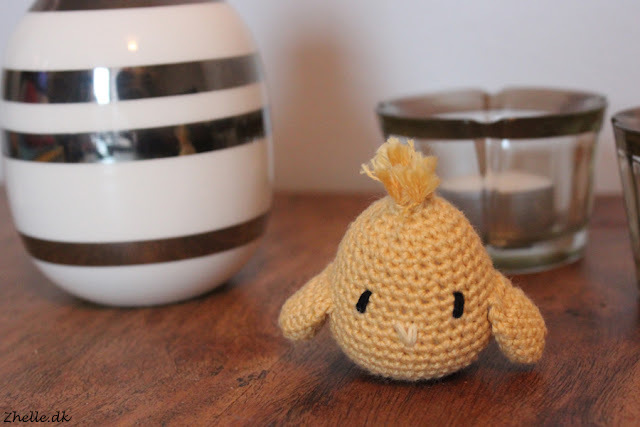 He ended up settling for Frank the chick, so please give Frank a warm welcome!